Following on from the availability of the new Xbox One S Halo Collection Bundle, Microsoft has also launched the 1TB Xbox One S Madden NFL 17 Bundle which is now available to purchase from both Microsoft and online retailers such as Amazon, Best Buy, Target and Game Stop. Check out the trailer below to see what you can expect from the latest Madden NFL 17 game which comes complete with Microsoft’s new Xbox One S console which is 40 percent smaller than the previous generation Xbox One. Stake your claim to gridiron glory with Madden NFL 17. Franchise mode is the deepest and most immersive to date, putting you in full control of your team’s title run. And gameplay innovations like enhanced ball carrier controls, a new defensive AI system, and improvements to special teams make this the most complete Madden yet. 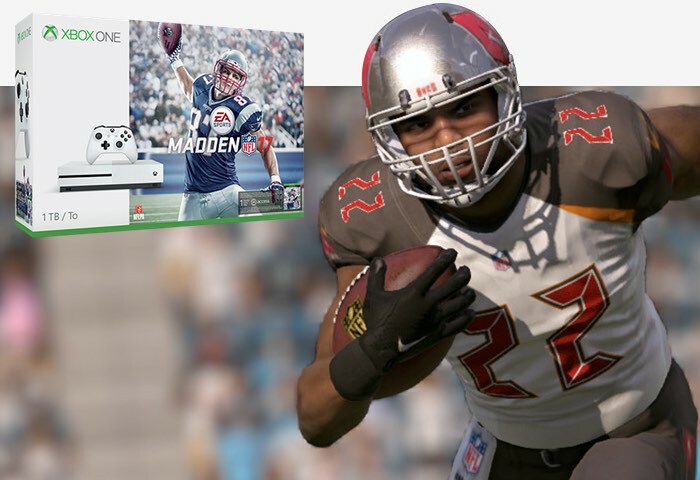 To celebrate today’s launch of Madden NFL 17 and the upcoming start of the NFL regular season on Sept. 8, and teaming up with EA Sports and the NFL, we’re excited to announce the Xbox One S Madden NFL 17 Custom Console Sweepstakes. Read more over at Xbox Wire.